Ubisoft’s The Crew was one of the company’s biggest releases. By the time that it came out at the tail end of 2014, The Crew was such an overhyped spectacle that there was no way it would live up to what fans expected. Many critics and fans alike ended up panning the game at launch for this very reason. A pity, since everything that had been promised was there – people just expected more. Granted, the game’s scores ended up balancing out, and people started enjoying it for what it was. Ubisoft also never gave up on the game and released two major expansions for it, along with regular free content. Now, a little over four years later, The Crew 2 has arrived. How does the new game fair? Is it everything the first game was? Is it less or perhaps more? 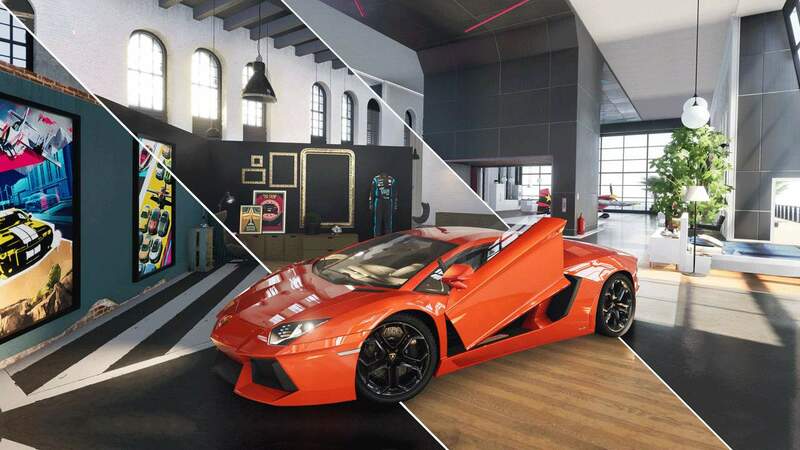 The Crew 2 not a simulation title, so vehicles have no requirements to act like their real-life counterparts. It is not an arcade racer, so people do not expect it to have a specified number of tracks and feature mindless races that are repeated over and over again. Finally, it is not an open-world sandbox that establishes unrealistic expectations for a title where you are consistently in some sort of vehicle. The Crew 2 is described as a racing title free of serious constraints, but what does that mean? Join me as I attempt to answer this question in the Vamers review of The Crew 2. From the onset, it is clear that The Crew 2 steers in a wildly different direction from its predecessor. Ivory Tower did away with the weird, almost tacked on revenge plot of the first. 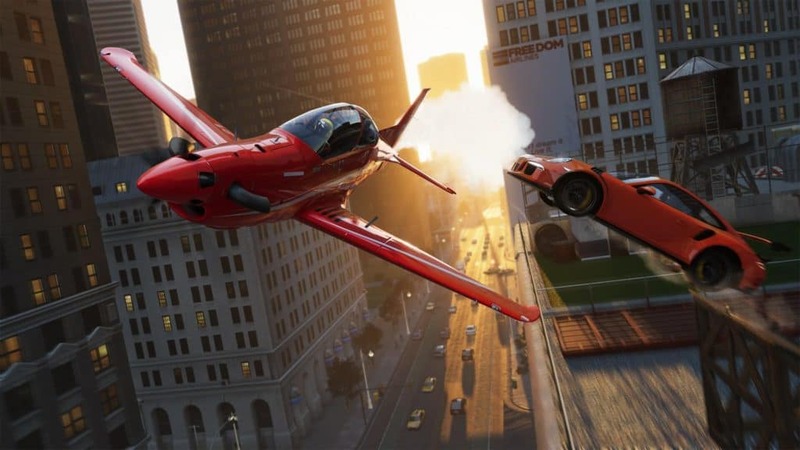 Instead, The Crew 2 features an open world playground akin to the Forza Horizon series. In The Crew 2, you assume the role of a thrill-seeking racer – a daredevil who just wants to be famous. This is achieved by taking on countless assignments and challenges, all in the name of gaining followers. The game features all-round action, all of the time. The campaign is admittedly lighthearted and good fun, and, in all honesty, not needed to enjoy what the game has to offer. There are no plot twists and no crazy plot points that need answering. Everything and anything the player characters do is solely to have fun and become famous in the process. Throughout the story, you meet with a few characters that introduce the various vehicles and race modes to you, and that is pretty much it. This offers enough interaction to keep you engaged, regardless of what type of race you are taking part in or how many followers you have. There are a few cutscenes sprinkled in for dramatic effect, but they are all in favour of jumping right back into the action. The Crew 2 is not about the story, but rather about fun. Why then did the studio add an arbitrary story that dictates you having fun when you can just do that anyway? Most likely to just keep the ball rolling; and it works. I enjoyed this aspect of the game quite a bit. The lack of a super serious story meant that the focus is on driving “all the things” and just having a good time. Like The Crew, The Crew 2 thrusts you into a vast open world. While it is effectively a shrunken down version of North America, it feels enormous. Ivory Tower confirmed the map is about the same size compared to the first title. However, this time around it is clearly way more populated. It is filled with cityscapes, skylines, and beautiful suburban areas, and even feature a few rural bits, mountain ranges, and bodies of water! The game is by no means a “realistic racing simulator”. As such, you can expect any vehicle with more than two wheels to have a nitrous system that slowly fills back up when used; a severe lack of car configuration options; and no reliance on optimal lines. Instead, The Crew 2 makes it clear that it does not want to be taken seriously. Cars speed along the tarmac like you would expect from classic Need for Speed titles, and then leave the ground rather easily when catching a ramp. This results in crazy airtime that you would normally only expect from arcade titles. Similarly, sea vehicles and air vehicles all work rather well and feel great to pilot – all with fun and reliable handling. Controls seem mostly universal, with the same acceleration, braking, and camera controls. Aeroplanes feel weighty, while at the same time also super light, while jet skis and speedboats turn like small cars; regardless of the water current and their respective speed. Although different race disciplines are spread all around the city, the events that represent the main races and “missions” that players have to participate in, remain rather simplistic. Events tend to range from drag racing, rival events, beating scores, standard racing and so on. Most race types are the usual time trial, sprint, or lap races regardless of what discipline you are racing in. There are a few unique races scattered around the map, but you can reliably enter every race by the time you reach the first-hour mark of gameplay (you will know what is expected of you from each category by then). With that said, I should note that I never felt bored. In fact, the sheer number of disciplines, mixed together with a handful of diverse racing types, multiplied by whatever mode of transport you are driving, resulted in completely new experiences almost all of the time. The game kept me busy for the better part of 20 hours, and not once did I feel like the game was getting old. Perhaps my biggest gripe about The Crew 2 is that the open world feels limited without the events. After just about every race, you enter a freedrive mode where you can fool around on the track you just raced on. Alternatively, you can continue to explore the vastness that is this shrunk down version of America. While exploring, you can try and collect ‘hidden collectables’, and explore various points of interest for some extra cash. The problem is that once you have driven from one side of the country to the other, you have pretty much seen it all. There are very few things to keep you engaged and exploring. In fact, it is pretty much advised that you should just use the open world to drive from event to event. Thankfully, if you are expressly against roaming, you can also jump to the upcoming event straight from the menu. This is a very nice addition considering The Crew had fast travel locked for any location not yet explored in free roam. Core gameplay aside, The Crew 2 features a pretty decent progression system. You start off as a complete rookie, and the game makes it clear that you are a “nobody” compared to other famous celebrities. As such, you start the game off as a rookie hired by promotional company XTREM (that is not a typo, I promise). Your job is to complete tasks and create a following. Followers are obtained by participating in racing events throughout the game. The more you race, perform stunts and win at challenges; the more social media clout you will develop. There are many challenges in the game known as ‘Skills’ that are designed to help you amass followers. For example, ‘Escape’ requires you to drive away from the starting area as fast as possible; whilst ‘Speed Trap’ requires players to gain a certain speed before reaching a specific area. Successfully completing Skills will net your character followers or money. Money and followers are reasonably easy to gain. The game is incredibly forgiving in this regard. Crashing your plane into the river or hitting a bunch of trees, for example, merely resets you back far enough to not make the same mistakes again. Hitting other cars and driving into buildings has no adverse effects other than bumping you back onto the track, and even then, when you keep on crashing, or keep on bumping into things and end up reaching the finishing line dead last, you still get cash and followers. While it is obvious that you will have to save up a tiny bit longer this way, the game absolutely allows you to lose through all events, and still — within reason — allow you to come out on top in the end. By gaining points and followers, you can go and tune and tweak your favourite vehicles. 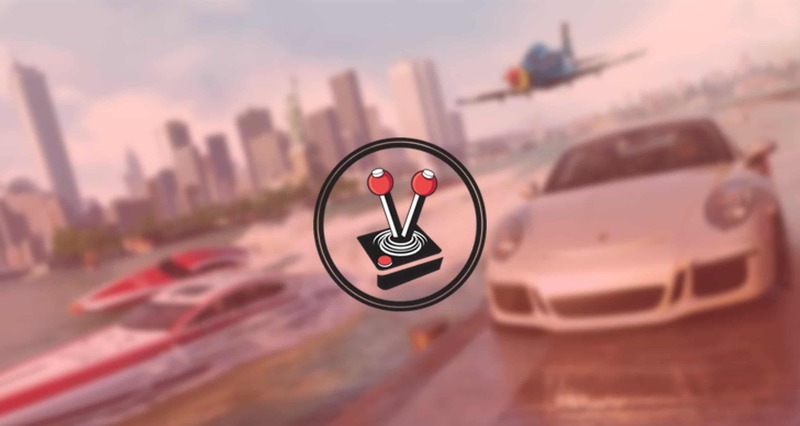 The Crew 2 simplifies tuning immensely versus simulation titles like Gran Turismo or Forza Motorsport 7. New parts are gained whenever you win a race or finish events. They are typically colour coded by their quality. The higher the quality, the better the “performance level” offered. As you might expect, the higher the performance level, the better your vehicle will corner, brake, accelerate, and so on. With that said, the game also caters toward players who would prefer to have a little bit more control over their vehicles. It features advanced tuning options that let you set the level of pretty much all aspects of vehicles in all disciplines. Specific tuning includes brake power, grip, balance offsets, and more. It even comes with a handy slider that dynamically slides toward either Easy or Expert, the more you tune! It is quite telling when an arcade and sim crossover title like The Crew 2 has more to offer than the likes of a pure simulation title like MotoGP 18. Also in this section, players can customise their vehicles with things like vinyl, paint, and bodywork. Additionally, players can also customise their avatars. The customisation in this regard is simplistic at best, but it is there. Of course, it costs money. So if you are anything like me and lose most of the rallycross events, wasting money on driver customisation might not be the best thing to do. I am known for frequently ‘call out’ game developers for adding features that seem tacked on or copy and pasted. With that said, I sincerely do not feel that way about the avatar customisation in The Crew 2. 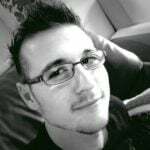 While driver customisation is not the biggest feature the game has to offer, and while it is by no means even necessary, it is done in a way that shows how developer Ivory Tower, at the very least, gave it some proper thought. I must say, The Crew 2 always looks outstanding. I feel like that is something I have said of all the games I have played in recent months, but it is the truth. The game looks absolutely stunning in just about every aspect I mean, it has nothing on the level of detail featured in single player games like Detroit: Become Human, but it looks very impressive considering it is both a racing title and an open-world title. Standing still at the start of a race or next to a building will expose graphical flaws present in most racing titles; like lower than normal texture resolutions. Even so, there is no doubt that it is one of the best-looking racing games I have played (For reference, Project Cars is still better looking, but the open world nature of The Crew 2 negates this). The level of detail extends to just about every aspect of the game. Heading up a mountain range in freedrive mode, and entering the summit as the rain starts pouring down while the sun envelops your truck, is a breathtaking sight to behold. The same can be said about driving into the city after a long day in the central USA with small towns in every direction. There is a particular beauty there, that I did not expect. While all of that rendering and processing is going on, the game performs like a well-oiled machine. Regardless of what part of the country I found myself in, whether forested, desert plains or big bustling cities, I always had a smooth experience. I believe the game runs at a locked 30 frames per second on the original Xbox One, which I used to play it on, and the lock did not falter once. Loading times felt similarly smooth. They were never too long to matter, and even boot-up times felt shorter than expected at times. I think this all comes down to some engine and optimisation trickery under the bonnet. Whatever it is, I am glad it is there. The Crew 2 remains an extremely fun game that looks good in the process and plays well to boot. It features multiple disciplines and racing styles set over an entire country. That in and of itself is already an outstanding feat. However, on top of that, Ivory Tower also added a dynamic weather system, countless cars, ships and planes, and even multiple different race types. They even threw in a bit of a story to keep the player going! The game possesses it all. 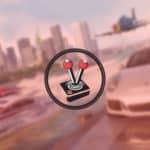 At the start of this review, I prompted the question of what The Crew 2 really is. I think The Crew 2 is something wholly different than what we have seen in the past. While it features some realism, it only goes so far that it feels good without affecting gameplay. It features many arcade elements, while still providing players with a wide open world and explorative freedom. 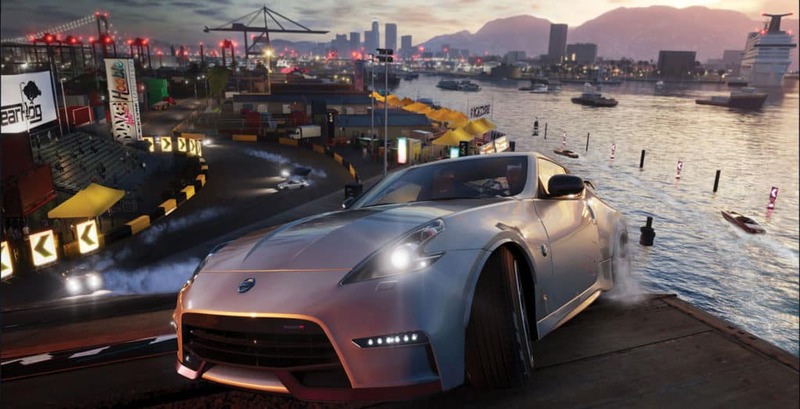 It has a broad open world that allows players to do what they can within the physical constraints of the vehicles they drive, commandeer, or pilot. The game handles exceptionally well and holds a proper frame rate regardless of how busy the screen tends to get. It keeps players engaged at all times. It even — and I cannot stop saying this — looks exceptional. The Crew 2 is great.